Rent car,Car rental, Rent van,Commercial vehicle T-AR s.r.o. Rent car company T-AR s.r.o. Car rental company Call: NON-STOP 00420777779724. Car rental company T-AR s.r.o. is a professional company offering car rental services with branch offices in Litoměřice, Praha, Lovosice, Ústí nad Labem, Teplice, Most, Chomutov, Louny, Děčín, Česká Lípa. We are ready offer our services NON-STOP - any day and hour. Car delivery free of charge, withous any free for mileage! Select a car from our car rental company. T-AR s.r.o. car rental company offers cars and vans for rent. 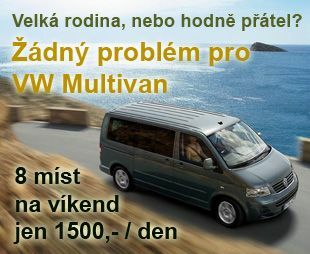 All vehicles are equiped with air conditioning and are in good technical condition (including safety equipment, motorway tax sticker and collision damage waiver for the whole Europe, regional map or map of Czech Republic). The services of car rental company T-AR s.r.o can be used not only for work purposes. It becomes a trend to rent a car for social or sport events, free time activities and for the purpose of tourism. Vehicles from T-AR s.r.o can be rented in several localities. Branch offices are situated in these cities: Litoměřice, Roudnice nad Labem, Ústí nad Labem, Teplice, Děčín, Most and Česká Lípa. Central office is situated in Litoměřice, street Mrázova 31.Litoměřice is a royal town well known not only for its historical sights associtated with famous poet Karel Hynek Mácha. Picturesque places of this city together with Porta Bohemica port are worth seeing. Visitors frequently come to attend the exhibition Zahrada Čech, vinetage celebrations, and last but not least also fortress and Jewish museum in Terezín city situated only a few kilometres from Litoměřice. T-AR s.r.o. car rental company Roudnice nad Labem In Roudnice nad Labem, the visitors are taken to the very roots of our history, to mountain Říp. Roudnice also features very strong wine-growing and wine-making tradition. T-AR s.r.o. car rental company Ústí nad Labem In Ústí nad Labem, you can contact us at Mararykova 1028. Ústí nad Labem - industrial city, centre of business, culture and sport, is situated in hills with many points of attraction for tourists. To the most popular ones belong theatre, open-air cinema, ZOO and recently built ropeway which goes from mall to observation tower Větruše, a place where you can admire scenic view of the whole city. With our cars you can comfortably get to Střekov tower house and to winter ski centers in Telnice or Komáří Vížka. T-AR s.r.o. car rental company Teplice, Teplice is well known for spa resort focused on the treatment of muscoskelatar problems. Teplice is also a city which offers many opportunities to relax and where several cultural events take place during the year. Nearby Teplice are situted Krušné Hory where you can enjoy sport activities all over the year. T-AR s.r.o. car rental company Most In Most and in its close surroundings you can visit for example a church which was relocated from one place to another in a very unigue way, ski centre Bouřňák, motor racing curcuit Most or horse races at Hipodrom. Modern Aquadrom is also a place for relaxation worth visiting in the city of Most. T-AR s.r.o. car rental company Děčín, Děčín, called also the gateway of northern Bohemia, is very well known marina and the lowest situted city in Czech Republic. Not only the city itself, where you can vist the ZOO or castle with adjacent rose garden, but also its surroundings become the target of many tourist. Protected landscape area Labské pískovce is a place often searched for by not only tourists but also mountain climbers and those who simply love the beauty of nature. Natural park České Švýcarsko also attracts many visitors. By renting our car you can approach the observation tower Sněžník which promises unique experience.T-AR s.r.o. car rental company Česká Lípa In Česká Lípa, where our car rental company also provides its services, you can both relax and be active in places such as Lužické hory and Máchovo jezero, a romantic lake. Bezděz castle, green forests, architectural monuments and sights associted with glass-making tradition in the areas of Nový Bor and Kamenický Šenov also attract many visitors. We believe that insights into our region increased your interest in rent-a-car services offered by car rental company T-AR s.r.o. Cars and vans are ready to meet the demands of our customers. The satisfaction of our customers is our pleasure. T-AR s.r.o. car rental company team.